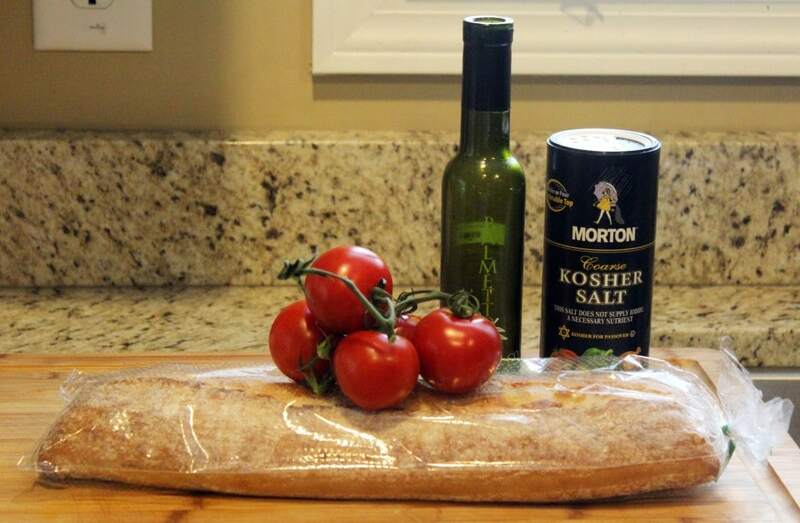 In this installment of I’m A Moron and Write Moronic Things on the Interwebz, we will be learning how to broil bread and put raw tomatoes on it. I’m sorry to do this to you, I really am. BUT ALSO, this is really delicious and SO simple. Sort of fancy-ish in its simplicity, and can be eaten hot or cold so maybe…awesome dish? Yep. Let’s go with awesome. So, you remember how I went to Curate in Asheville and raved and raved about how its my new favorite restaurant and I wish it were closer to me and also that I need a new job to go there with any sort of frequency? My favorite thing to eat there is this tomato bread, so I done recreated it at home. It tastes REALLY similar, and is a great summer appetizer or snack. 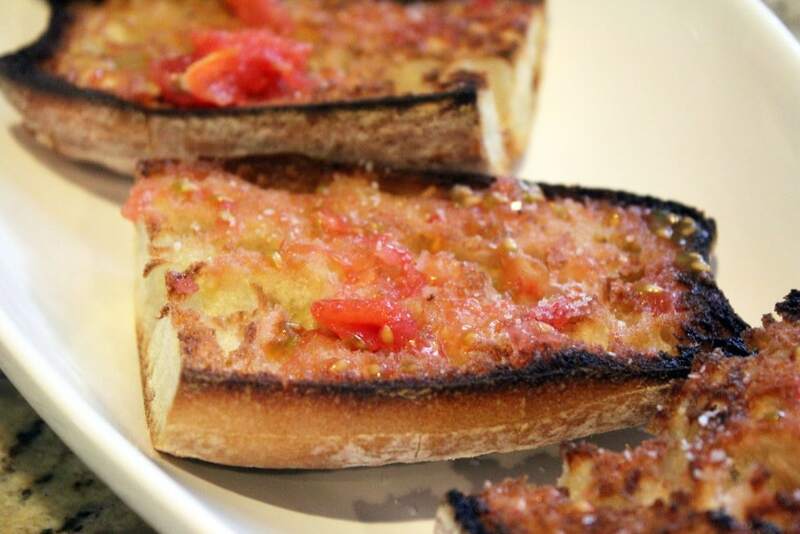 You need bread, olive oil, fresh tomatoes, and salt. And 5 minutes or so. That’s it! The bread can be any kind you like, but crusty is good, and you really want a loaf that’s kind of flat so that you can cut it in half lengthwise and end up with chunks of bread that have lots of crust on the bottom. Like this! Cut the bread into 4-inch lengths, then slice each one in half so that the bottom of each piece is crust and the top is bread. 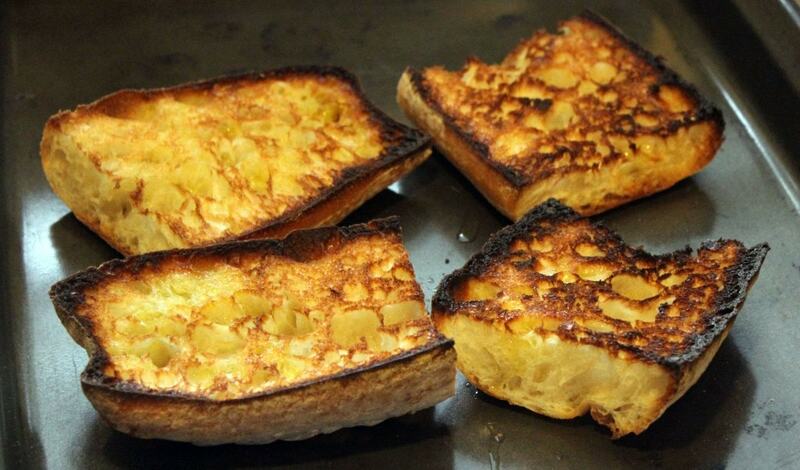 You understood what I meant – the bread’ll look like this. SO. We have bread. Now, drizzle it with olive oil. Not too much, just a few drops on each piece of bread. 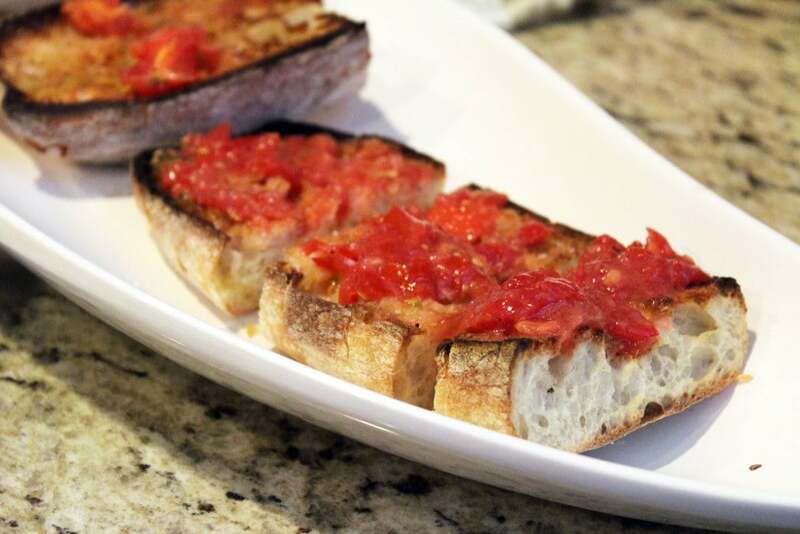 Then, broil the bread until the edges are dark and crispy – don’t worry if some places get black, the char is REALLY good with the contrast of the fresh tomatoes. Promise. 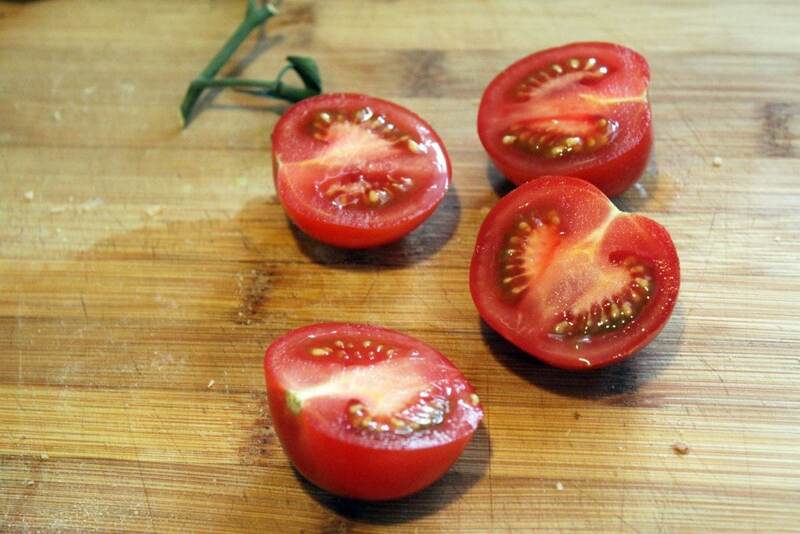 While the bread is broiling, cut the tomatoes in half! That concludes the “using a knife” portion of this recipe. 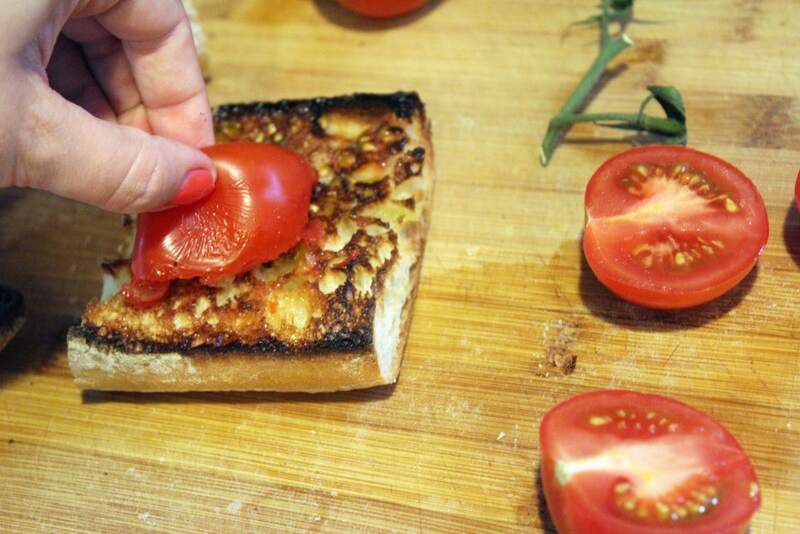 Now, grab the tomato halves and the charred bread, and scrape the tomato flesh into the crispy bread. 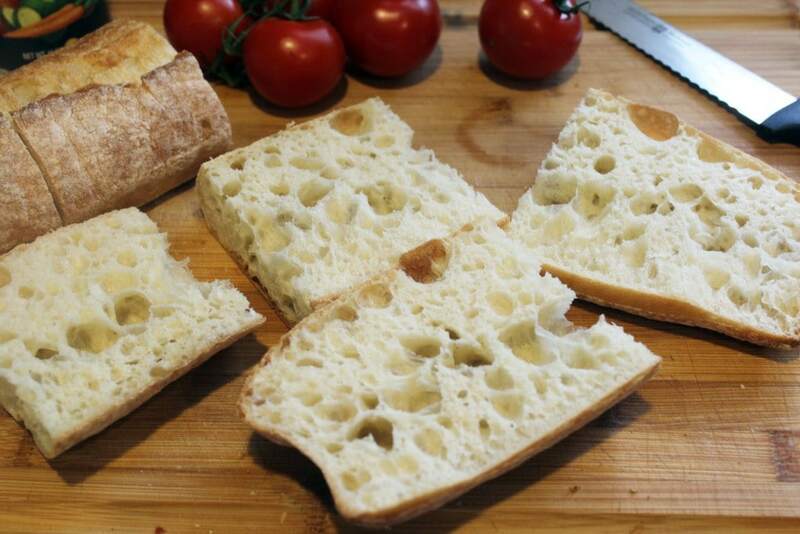 Then, sprinkle the bread with salt, and that’s it, tomato bread! Easy and delicious. BUT WAIT THERE’S MORE! Seriously. After I made this first trial version I decided that I didn’t want to toss the tomato halves that had been squished into the bread. I also wanted more tomato on the bread, SO I ground them up in the mini food processor and spooned the whole mess over the bread. No draining, straining, nothing. 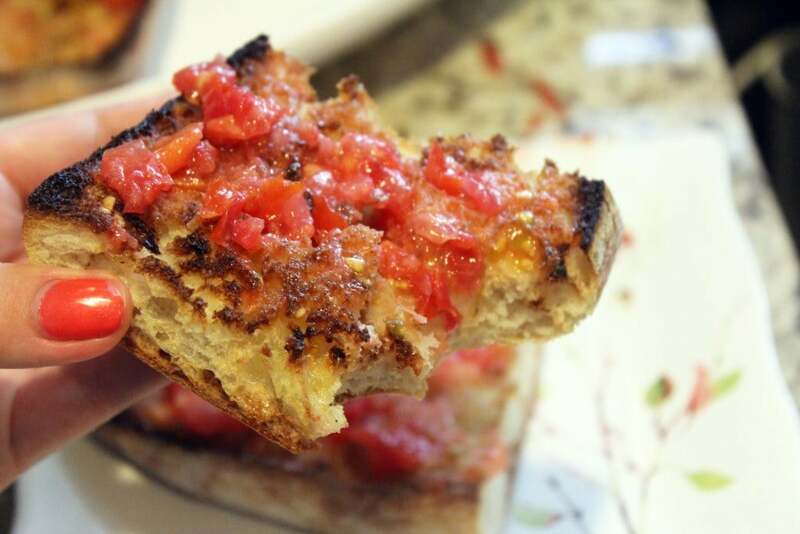 THAT’S why we want crusty bread – the tomato juices soften it! When I made this a second time, I didn’t even bother with scraping tomato halves on the bread. I just put them in the food processor, pulsed them until chunky, and spooned them over bread with a good sprinkle of coarse salt. I liked that method even better, but I wanted to share with you the “little” or “lot” tomato method. 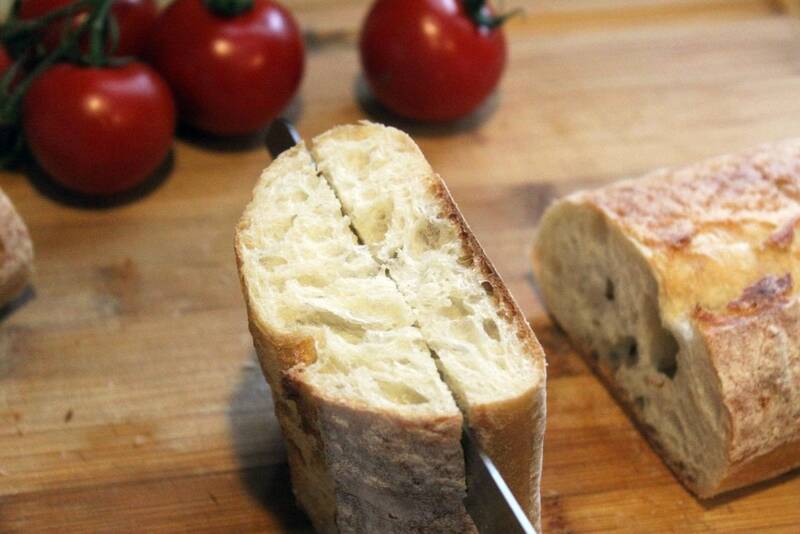 No matter which way you go, this is a great way to highlight yummy bread and fresh summer tomatoes. It goes with anything, and can be made in five minutes, so what are you waiting for? Shared with my buds @Weekend Potluck via my friend Tonya and her 4 Little Fergusons. Cut the bread into flat sections lengthwise. 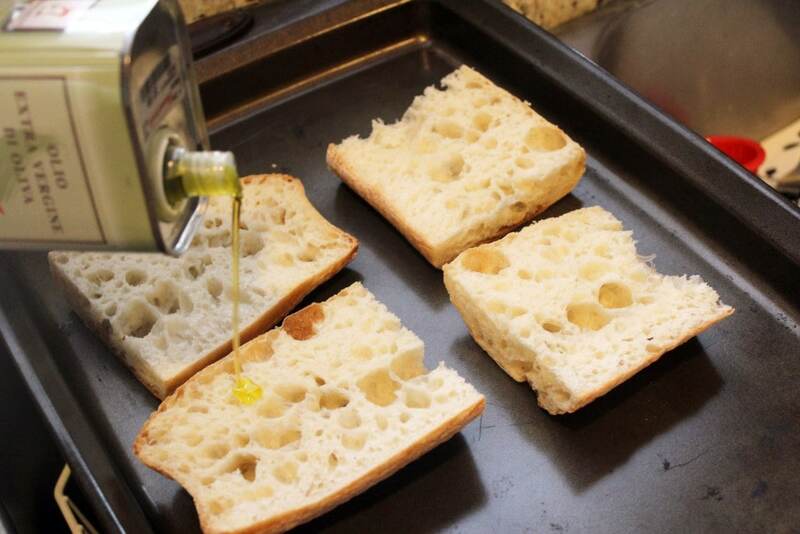 Drizzle the insides of the bread with olive oil. Broil face up for 3 - 5 minutes until crispy and charred in some places. 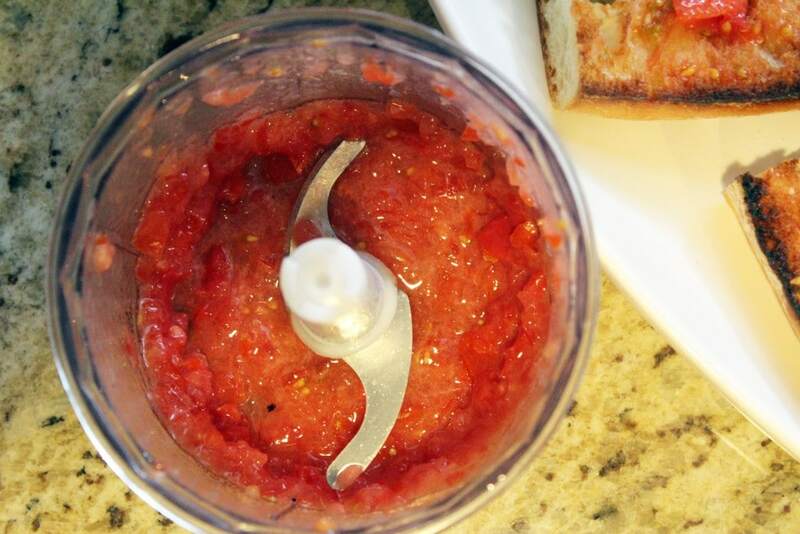 Meanwhile, process the tomatoes in a food processor for a few seconds until roughly chopped and saucy. 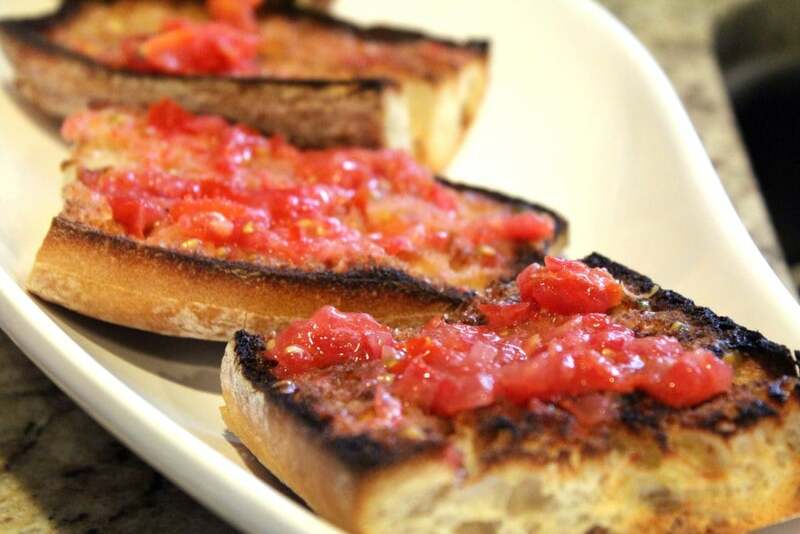 Spoon tomatoes over the charred bread and sprinkle with coarse salt.